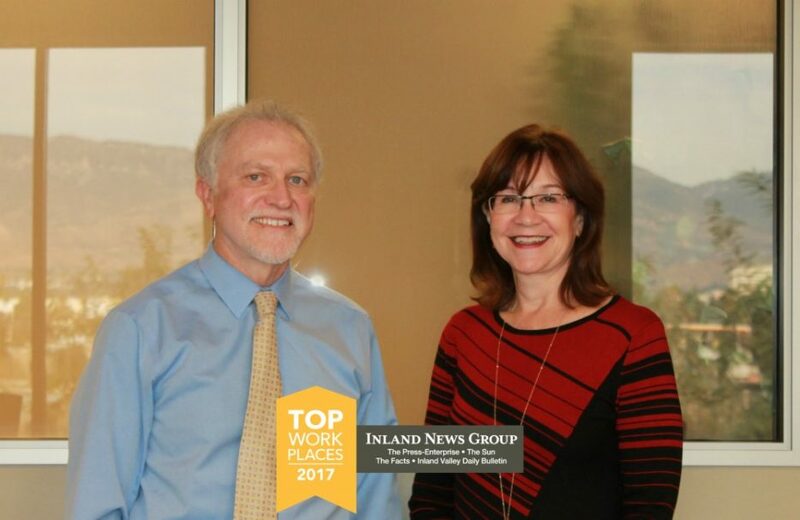 On November 30, 2017, IRC was honored at the Riverside Convention Center by the Southern California News Group/Inland News Group as the Top Workplace in the Inland Empire, Large Company category. According to the Inland News Group, the awards are considered the “Oscars of the HR industry”. They also state that “a company filled with happy, productive employees is one of the best testimonials a company can earn”. This award is based on the responses received from an independent survey of the employees. Approximately 85% of the employees responded. They would not have responded so positively if they did not enjoy interacting with each other and doing the work they do. They are all very much appreciated. We would like to express our sincere thanks and appreciation to all our employees for making this happen. To us, this means that our employees truly enjoy the work that they do in helping improve the quality of life for our consumers. It also means that they sincerely appreciate their co-workers and the support they receive from each other. The award is particularly gratifying because our employees have been through some very difficult times recently. The award was received just three days before the second anniversary of the December 2, 2015, terrorist attack at our Conference Center. Following that event, it was imperative that everyone pull together and support each other as best we could. Obviously, they have succeeded. Learn more about the award, selection process, and other honorees in an article by Fielding Buck of The Press Enterprise. CJ Cook is IRC’s Community Engagement Program Manager. He oversees Consumer events, outreach efforts, public relations, brand management, and more! Outside of work, CJ is a dedicated community volunteer, holding leadership positions with the Boy Scouts of America, Kiwanis, and Inland Empire Fatherhood Involvement Coalition. He also is has an impressive bobblehead collection and is an avid cyclist!